We are a publishing content solutions firm providing full-service project management and editorial solutions for books and journals. We help publishers and corporations gain a competitive advantage through our innovative approach and proven offshore model. We have the capacity to provide both end-to-end pre-press solutions as well as perform these services as independent components. A semi-automated tool-based approach enables pre-editors at SpiralUp to clean and format documents according to publisher specifications. Thus, when authors do not follow the specified publisher format, we provide a checking and clean-up service to ensure a uniform final product for the copyediting department. This ensures that copyeditors are not bogged down with technical editing but can rather focus on the language and content of the manuscript. 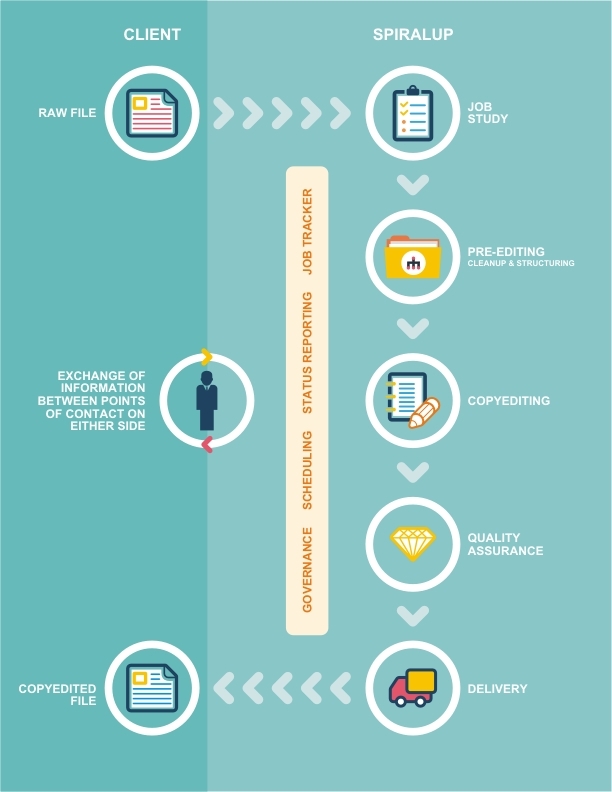 SpiralUp also provides tailor-made pre-editing solutions for its customers based on their specific requirements. 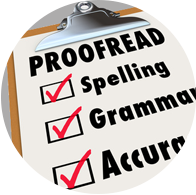 Our enhanced pre-editing services include front matter formatting for books and journals, checking and correcting for US/UK spellings and punctuation, abbreviation expansion on first occurrence, checking and appropriately changing usage of hyphens to minus sign/en-dash just to name a few. SpiralUp offers three levels in copyediting: light, medium, and heavy. SpiralUp Solutions offers a comprehensive project management service for all areas of pre-press, organizing every aspect of the process from analyzing the manuscript to delivering ready-to-publish online/print output. With a strong emphasis on copyediting, we are well equipped to give the best in various stages of pre-press operations. 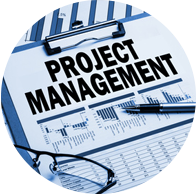 Our sophisticated team is composed of project managers who are focused on, and trained in, improving efficiency of the production process. We completely manage and coordinate for publishers, starting from receipt of handover notes to the dispatch of final files. We share the schedule, status reports, and key milestones to keep the production team at the publisher’s end constantly aware of the status. By liaising with everyone involved in the project, we ensure effective communication between our staff, the publisher’s production team, and anyone who might be involved in the production process including authors, editors, indexers, and proofreaders. Our ability to problem-solve and to work efficiently under pressure has won many a praise from our customers. We have proposed and implemented many enhancements in the production lifecycle that have helped reduce the overall turnaround time for our customers. We have one of the best proofreading teams in the industry. 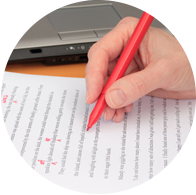 Our proofreaders are handpicked with many important attributes—enormous patience and a keen eye for detail—required to provide impeccable quality all the way through to the final product. With the latest software, our proofreading team also pays particular attention to font style, italicization, correct usage of symbols, and much more.